I am also the victim. Pls provide info on how to join the whatsapp group. I hereby attach the sales agreement and police report. Hello everyone, I thought I wanted to share with you my bad experiences too. I have been asking this sales agent Andy for a few months when is the delivery of my car, when is the COE bided, when is the bank loan approved, when is the inspection etc. He has failed to give any satisfactory answers to all my questions. When I ask him who is the person that he deals with in LTA, he didn't give me any answer at all too. I'm disappointed and angry with the way he handles this whole procedures as well as how he did for other victims. How can he be a sales agent??? I have shared this with the police too. I hope all these culprits will be caught soon and charged in court. I am sorry to hear about your ordeal. 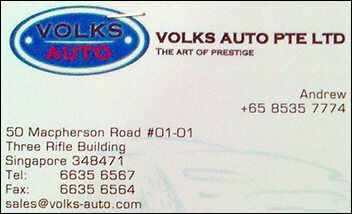 Let's compile a list of Volks Auto saleperson namecards here. Could you post the Andy's name card here? Thanks. Hi there, I do not keep his name card anymore. The sales agent is Andy and his number is 98124769. Hi Zoneplus, the info is in your private message inbox. God bless. Condition for the removal of Volks Auto Salesperson name cards above: If and only if you confess on the scheme/scam/fraud about your employer, about Volks Auto Pte. Ltd. and/or Alvin Loo Mun Yu. Another receipt (with personal info info. blurred). More than $2.5 million in deposits is believed to have been paid to car dealership Volks Auto, based on invoices from 81 customers. None of these customers have received the vehicles they had booked. The director of Volks Auto, Mr Alvin Loo, remains uncontactable even as angry customers gathered yesterday at a McDonald’s restaurant in Kallang to compile their police reports and invoices. “I believe that after this, I won’t have to go and look for the authorities. They will come and look for us instead,” said Mr K. K. Lo, 53, an IT manager and de facto organiser of a WhatsApp chat group formed by the customers. My dad is a victim too and I've attached the police report that my dad has filed. Kindly advise what's next step to do to join the meet up and group chat! Sorry to hear about Dad's situation. 1. I've sent you the info in your private message already. 2. In addition, I've resized and blurred out other personal information in your reports too. Two cars that were in the showroom of a dealer which allegedly cheated car buyers of more than $3 million have surfaced at another dealership in Sin Ming Road. Mr Lawrence Tan, director of Zion Auto Gallery, said his firm had taken back the two cars - a Bentley and a Mercedes-Benz - from Volks Auto shortly before it made the headlines last week. As of yesterday, there were 107 people claiming to have paid a total of $3.5 million to Volks. None has received his car from the shuttered dealer. Mr Tan told The Straits Times the two cars were on consignment to Volks - a common practice in the industry, he added. This means Volks had paid a deposit for them, and was supposed to pay monthly service fees. The cars should be paid for in full if and when they are sold, but there is also the option of returning unsold cars to get the deposit back. Mr Tan said Volks had failed to pay its monthly service fees, therefore the cars were taken back right before news broke that Volks' doors had been shuttered. He said he was unable to provide details on how much the deposits and service fees were, as the agreement was between his sister company and Volks. 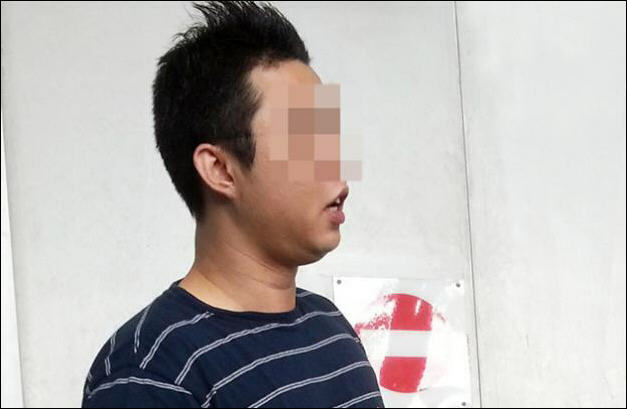 Mr Tan said he had called many times to ask for the service fees and to make an inspection at Volks' showroom to check if the cars were still there, but either his calls went unanswered or he was told the boss, Mr Alvin Loo, was not in. He added that the consignment was done through a middleman, and he does not know Mr Loo. Title documents for the cars do not belong to Volks but to Zion Auto Gallery's sister company, which he declined to name. While each of Volks' victims had paid an average of $20,000 to $30,000 in deposit - with at least one buyer paying for a car in full - Mr Tan said it was not common to pay that much upfront in the parallel import industry. He said he collects only $15,000 in total when he gets a car order - $5,000 for the car and $10,000 for the certificate of entitlement bidding. A check on the chassis number of the Mercedes C200 at Zion Auto Gallery showed that it was the same car promised to businessman Richard Lee, 61, in a sales agreement issued by Volks. But Volks never went about paying Zion Auto Gallery in full for the consigned car, despite having collected $37,000 from Mr Lee on Oct 25 and promising to deliver it at the end of last month. Mr Lee made a police report regarding this latest development yesterday morning and said he had earlier sent e-mail messages to MPs to ask for help.